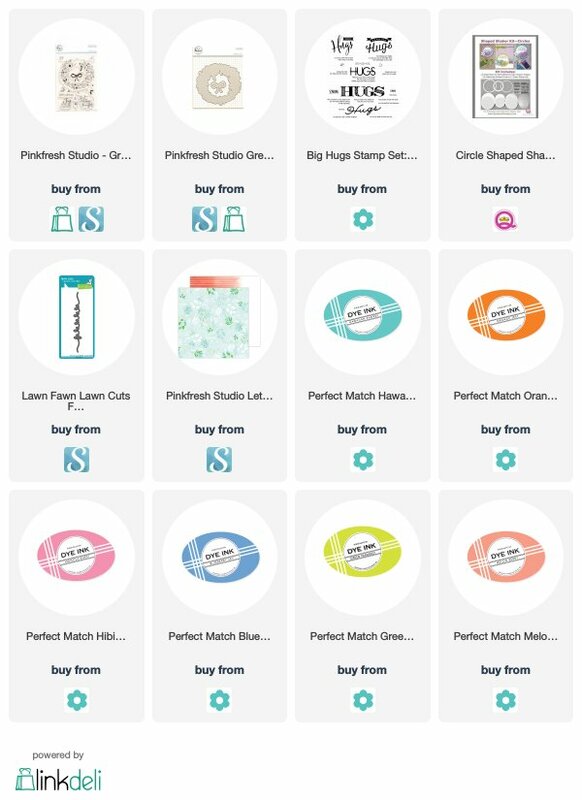 If given a choice, I would add a bow to every card! 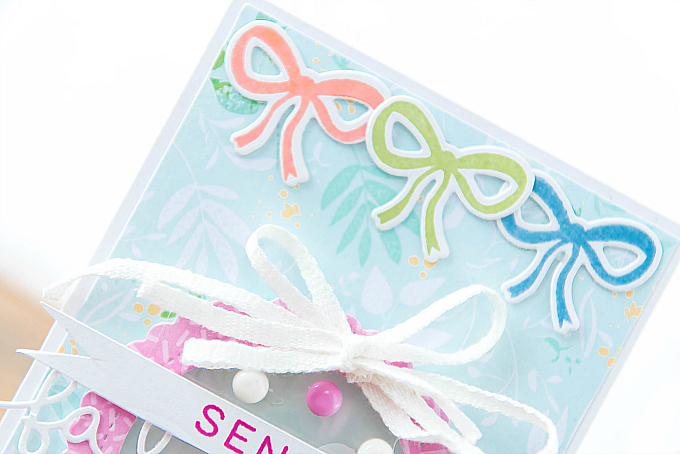 And when I have the chance to make a card full of bows, I'm all over that. This little number was super easy to pull together if you have a stamp and die bow but you could easily use sticker bows, felt bows, ribbon bows, or really any other type of bow you can get your hands on! Of course, depending on the material, your card may be more dimensional, but it would be just as fun and whimsical! To start my card, I used a pretty pattern paper from Pinkfresh Studio's Let your Heart Decide collection for the base. Such a beautiful little pad of paper! 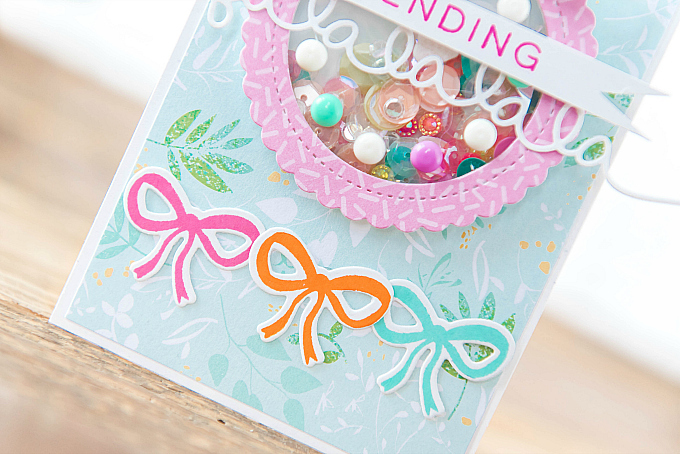 For the bows, I used Pinkfresh Studio's Great Joy stamp and die set and PTI ink colors in hues of Melon Berry, Green Parakeet, Blueberry Sky, Hibiscus Burst, Orange Zest, and Hawaiian Shores. I used the lovely Queen and Company Circle Shaped Shaker set to create the sweet shaker, and filled it with candy colored sequins, rhinestones and felt bits. Around the shaker I added some epoxy accents, as well as a white bow. For the sentiment, I used PTI's Big Hugs stamp set, and Lawn Fawn's Falala die. 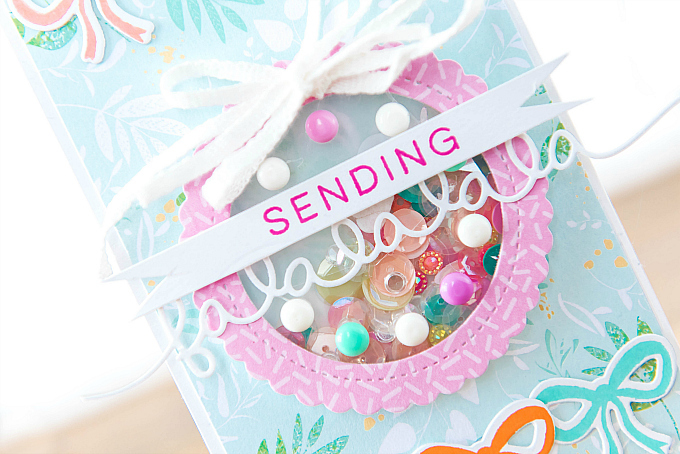 I love how simple and quick this card was to pull together, yet it feels colorful and cheerful nonetheless! What a happy little shaker card Ivana, it's darling! I LOVE that you used that patterned paper!! It looks lovely with the pale purple/pink ink and your lovely sequin mix. Such a delight!! So non-traditional, festive & fun! Love this, Ivanna! That is too sweet!! I'm *!blushing! * big time :) Thanks so much for your visits and notes, dear friend!